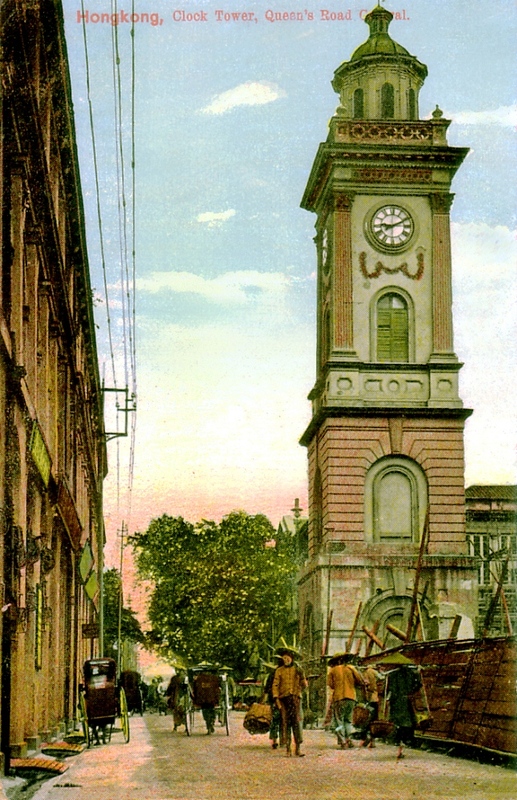 The Clock Tower at the intersection of Queen's Road Central and Pedder Street around 1910. The Tower was built in 1863 from the donations of Douglas Lapraik Co. Considered an obstruction to traffic, it was demolished in 1913.